Gujarat RNSB Chief Manager recruitment 2016-17 apply online : Rajkot Nagarik Sahakari Bank (RNSB)welcomes application for the position of deputy chief manager vacancies.Candidates who completed their Graduate is a good opportunity.The individuals who are the occupation seekers searching for govt employments in Gujarat this is the best chance to apply. Competitors read the official notification then read all the guidelines and miners precisely then apply before the last date online application got. All the interested and eligible candidates can apply online before 8th July 2016. Candidates Age Limit: The age of the candidate should be maximum 45 years. Experience for the Job: Candidates should have total 10 year experience as on officer out of which 5 year in scale II or above with nationalized bank or as manager in reputed financial institute or urban cooperative bank / five year experience in debt. market having very good knowledge about Indian and international economy. Preference will be given to those who have worked in any of the bank treasury departmental at least for 2 years. 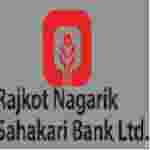 Official website: All the interested and eligible candidates can apply online through official website of Rajkot Nagarik Sahakari bank http://rnsbindia.con from 24th June 2016 to 8th July 2016.